Hundreds of people looted an overturned truck on the N1 North near Olifantsfontein on Saturday. 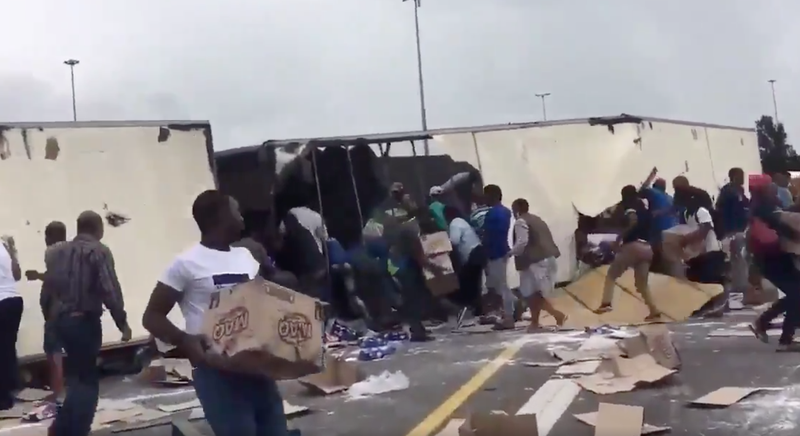 Traffic came to a standstill Saturday afternoon when a truck overturned and people came from all angles to help themselves to washing powder! It was reported that a video surfaced online of people running to the truck to get washing powder. However, what they did not realise was that the Stormers bus was also stuck in the traffic and was subsequently late for the game! READ: Off the Beat ‘n Track is coming soon! The live broadcast of the game had to be postponed by a few minutes to wait for the Cape Town team to arrive. The Bulls won 40-3, after leading 21-3 at half-time.